The Lotus women’s Aubrey open toe shoe is an any-occasion style hero! 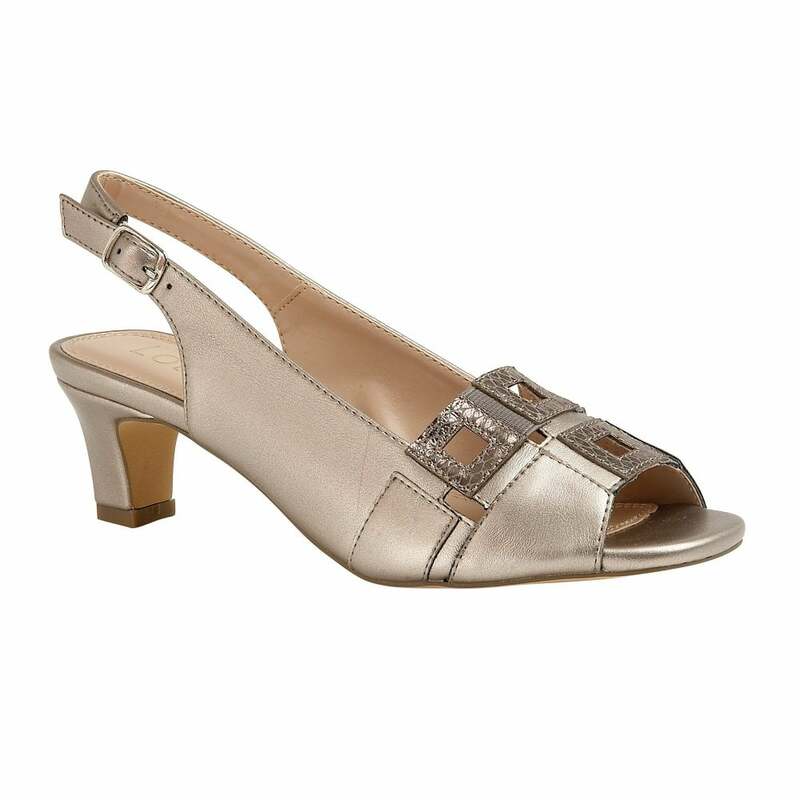 Exceptionally wearable and highly versatile, this Lotus shoe will work effortlessly with a wealth of looks. Understated reptile print detailing is captured on the metallic pewter upper alongside discreet elasticated panels for enhanced comfort fit, an adjustable sling-back and a 5.5cm block heel.